Size/Dimension: 1 Mtr. x 50 Mtr. Color: Pink, White, Silver etc. 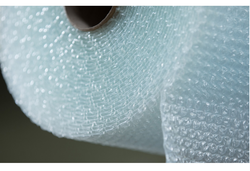 This Bubble Wrap Roll is used for wrapping small electronic appliances and a range of other items. Enriched by our vast industrial experience in this business, we are involved in offering an enormous quality range of Bubble Wrap Roll. 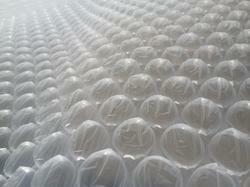 We are remarkable enterprise, involved in offering superior quality Bubble Wrap. - Improved stability of products forming a unit. - Efficient handling and storage of unit. - Protection from dust and moisture. - Resistance to package pilferage and tampering.